The EVGA X99 Mico was engineered to pack a punch. A highly efficient 6-phase Digital VRM provides the cleanest power possible to the CPU. A total of 4 DIMM slots support up to 64GB of DDR4 memory, and a 4 layer memory design allows for extreme memory speeds such as 3000MHz+ (OC). The PCI-E layout is optimized for improved lane distribution and better performance, and with native support for NVIDIA 3-way SLI, this is the ultimate platform the small form factor enthusiast. Higher volume of precious metal (Gold) used in the sockets greatly improves the conductivity and produces a cleaner signal due to less resistance/impedance. 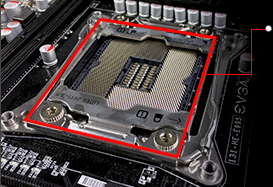 The X99 MICRO features 150% more gold than the standard X99 Socket. A 6 Phase PWM helps to ensure that the power reaching the processor is clean and stable. The X99 MICRO supports the newest slot architecture with support for several device types, including WLAN, Wifi and Bluetooth. When testing on the Z97, or running it in a benching environment where you do not need to worry about wiring the board to a case to have access to power and reset buttons, they are built onto the board. 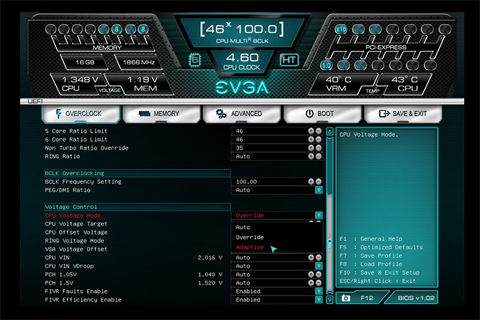 These motherboards also feature EVGA's new GUI BIOS that focuses on the best overclocking support, functionality, and are straight and to the point, the way a modern BIOS should be. Pros: First one came DOA, and it would not even post. Blargh!$#% Talk about frustrations up with wazoo! Anyhow, after a lengthy 3 week RMA turnaround time on it, the second one arrived and booted up perfectly the way it should. Whew! Hope yours works out the first time for ya! Cons: Q/A needs to check these things better!! Cons: This is the second board that has been DOA. The first had a corrupt bios and you where lucky if windows would get a chance to load. The second lan adaptor didn't work. One more try evga if a third mobo fails I will not be using or recommending evga to anybody. The issues that you are describing are not typical of this product. I would encourage you to contact our 24 hour Technical Support team by phone 1.888.881.3842 and pressing option 1 or by email: Newegg@EVGA.com, so that we can further assist you. 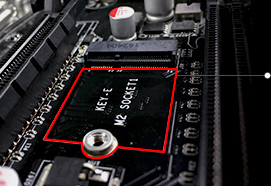 Cons: - Installing a wide video card to the middle or the bottom PCIe slot is impossible because of motherboard connectors sticking upwards (USB 3.0 connector especially). - Installing a video card in the top PCI slot places it so close to CPU that it is impossible to use CPU heatsinks wider than ~125mm. 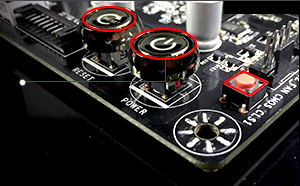 For example, Zalman CNPS10X Optima will not fit if installed in traditional orientation. The only way to fit it is with fan blowing "across" the case, which is suboptimal. I would like to thank you for your feedback in regards to the EVGA X99 Micro. I have taken note of your concerns regarding the bottom header connections and will forward them to our Product Management team for further review. One alternative for the front USB headers can be an extender, like our Low Profile USB 3.0 Header Extender we have available. Should you have any other questions or concerns, then I would encourage you to contact our 24 hour Technical Support team by phone 1.888.881.3842 and pressing option 1 or by email: Newegg@EVGA.com, so that we can further assist you. Pros: Overclocks 5930K very well, Looks good! Cons: USB 3.0 motherboard header does not clear SLI configuration. Other Thoughts: Fantastic board. Owned ASROCK X99 micro before this board and sold it after it would not overclock my 5930K EVGA works much better and would overclock my 5930K to 4.5Ghz easily. Buy this now! Other Thoughts: I bought this board to fit inside my mATX tower and run two graphics cards. This is running like a champ. I was initially concerned if my memory would be compatible, but in the end, it saw all the memory and I would buy this board all over again! Pros: If you are looking for a good board but don't need any bells and whistles then this is not a terrible buy. At first I liked it. Great pricepoint. 1 of only 2 mATX x99 board, the other one is bright red all over, so the black on this one is nice. Cons: the placement of things on this board leaves a lot to be desired. the box says 3way SLI - HOW?!?! the second slot and third slot are next to each other. There are no single slot SLI cards anymore. Also, if you want 2 graphics cards you have to give up on the USB 3.0 front header. it's directly below where the second graphics card fits. The m.2 slot is too short to support 98% of all m.2 SSDs. Other Thoughts: I liked this board until I tried to do SLI. Thank you for your review in regards to the EVGA X99 Micro. 3-Way SLI would be possible with our new single slot GTX 980 K|NGP|N edition graphics cards. We also now carry a Low Profile USB 3.0 Header Extender that may solve the issue with accessing your USB 3.0 headerwhen using 2-Way SLI setup. We are available to assist you with any questions or concern you may have, I would encourage you to contact our 24 hour Technical Support team by phone 1.888.881.3842 and pressing option 1 or by email: Newegg@EVGA.com, so that we can further assist you. Pros: Board works as it is supposed to. Cons: The front panel USB header is at the bottom of the board. 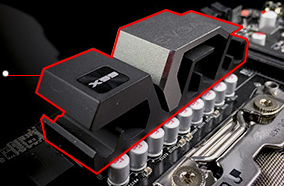 EVGA claims that this board is "SLI-Ready". That means it should be capable of handling 2 full size GPUs. However, the second x16 slot is such that the GPU card will prevent the USB front panel header from connecting. There isn't enough room. The pins have to be bent a bit downwards to give enough room for the card to fit. This is a design flaw in my opinion. No one SLIs small form factor GPUs. We do appreciate your feedback of the EVGA X99 Micro. 3-Way SLI would be possible with our single slot GTX 980 K|NGP|N edition graphics card that will be released soon. The front USB headers can be used with an extender, like our Low Profile USB 3.0 Header Extender we have available. If you should have any other questions or concerns, then I would encourage you to contact our 24 hour Technical Support team by phone 1.888.881.3842 and pressing option 1 or by email: Newegg@EVGA.com, so that we can further assist you. Pros: Mostly smart layout, E-VGA quality, Ease of use. I had 0 issues with installation. The board exudes quality and has been 100% stable. 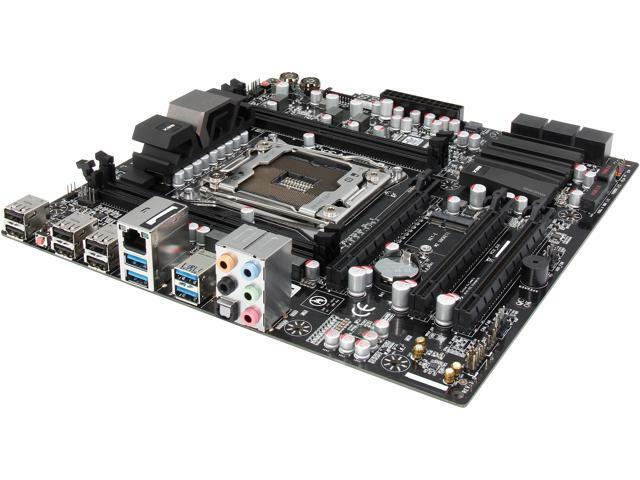 Other Thoughts: This is my first EVGA motherboard. I've had good luck with their video cards, so far this system board has made a good impression too.